SearchWP’s Metrics extension (requires a Pro or Pro Plus license) collects comprehensive data for on-site search, and provides you with actionable advice about refinements you can make as time goes on. 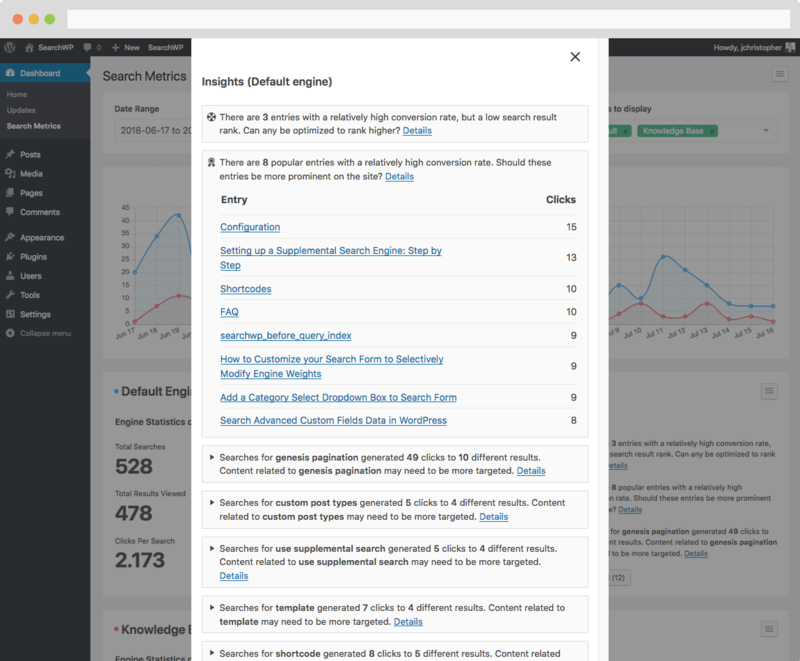 SearchWP’s Metrics extension provides actionable insights into search traffic on your site. What are visitors searching for? What are visitors finding when they search? How often are visitors searching? What searches are (incorrectly) yielding no results and frustrating visitors? Do visitors look beyond page 1 of our search results? Metrics answers questions like these and at the same time provides actionable insights based on the data that’s collected. With all of these tools at your disposal you’re able to get a more detailed picture of search on your site. Searches over time help us to determine whether visitors as a whole are searching more or less often. Is there a trend that aligns with outside influence such as marketing initiatives? Are we seeing more searches because our overall traffic volume is increasing? Did adding that new section to the site result in a drop in searches because visitors are naturally finding information? Searches with zero results indicate where we can improve on the content of our site. Are these searches failing because of industry jargon we’ve avoided? Are there zero results because of a common misspelling? Term Synonyms can resolve visitor frustration here. Popular searches show us which topics could use even more content, and we can gauge that popularity in context of other popular topics to ensure we’re prioritizing effectively. Using Insights you can review the suggestions and implement changes as you see fit in the context of the site as a whole. 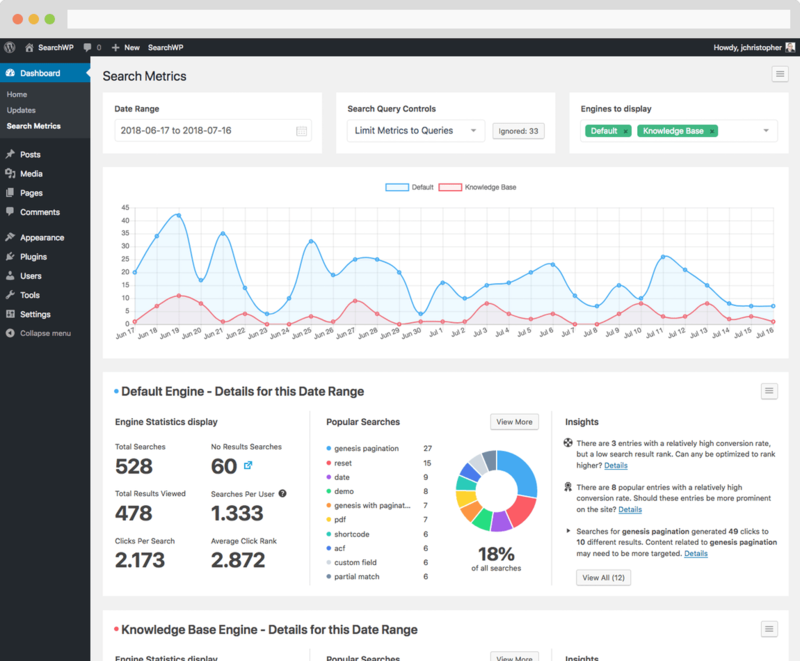 Observing Insights over time will allow you to gauge whether or not your content is optimized for your visitors.